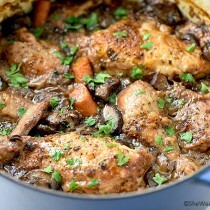 This is a quick, quick, quick like a bunny (sorry, my mom used to say that all the time) recipe. 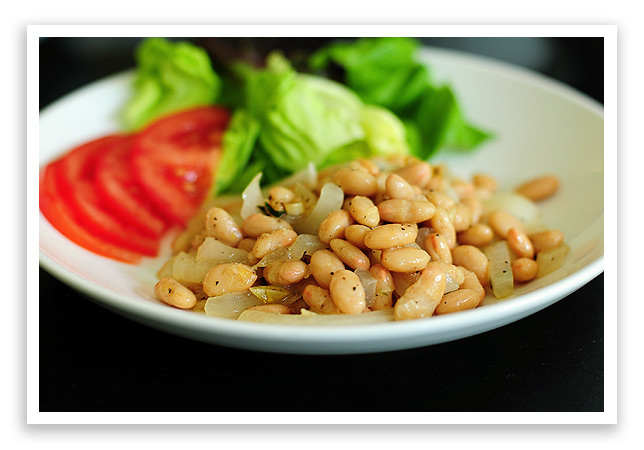 With a few ingredients you can whip this White Bean Saute up in no time. Let’s get started. 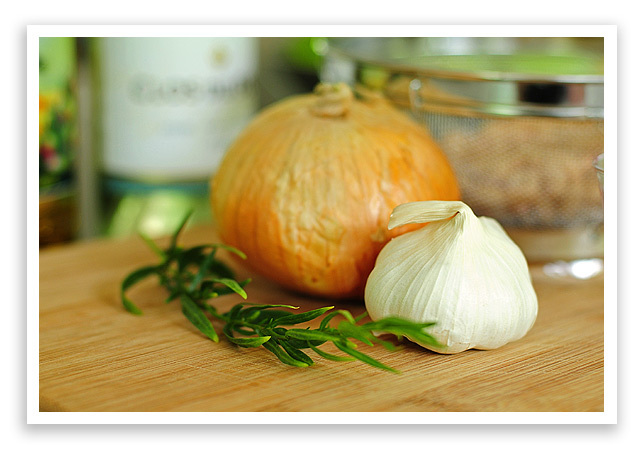 You’ll need olive oil, sweet onion, garlic, white beans (cannellini or great northern), tarragon (or thyme, or your favorite herb), salt, pepper and white wine. I used Pinot Grigio because that’s what I had on hand, but you could use any white wine you’d like. 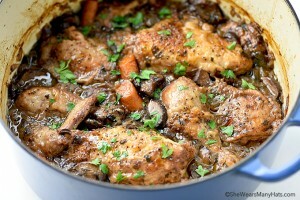 Begin by heating the olive oil in a sauté pan or skillet over medium heat. 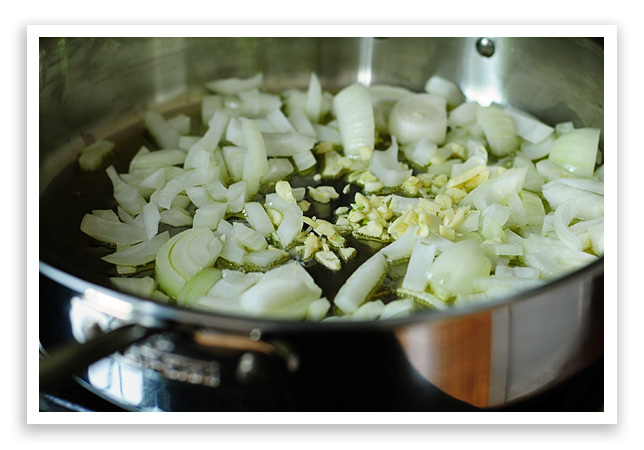 When the oil is ready, add the chopped onion and garlic, and sauté for about 5-7 minutes. Be careful not to let the garlic burn. Adjust the heat if necessary. Next, add the white beans, tarragon, salt and pepper. Sauté for another 3-5 minutes or so. When sautéing the beans, use a gentle hand so as not to mash the beans up. You don’t want a big pile of mush. When the pan begins to “dry up” (I’m not a professional chef, so I don’t know what the proper terminology is), deglaze (I know that one) the pan with the white wine, which means to pour the white wine into the pan and hear it sizzle. Basically you want the wine to cook down and the beans to be warmed to your liking. So taste one. If you like it, it’s done. That’s it. Serve alongside chicken, fish, beef, or maybe just a nice crisp salad. Other than the effortlessness of this recipe, I like the fact that it lends itself well to using as a starter for a soup or a sauce. I’ll be sharing with you how I do that in the next few weeks. Hope you enjoy! Do you have any simple side dishes to share? 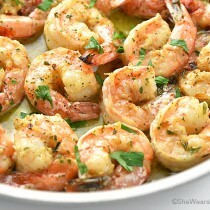 This flavorful side dish is simple to prepare and a good pairing for fish, poultry, pork and beef. Next, add the white beans, tarragon, salt and pepper. Sauté for another 3-5 minutes or so. 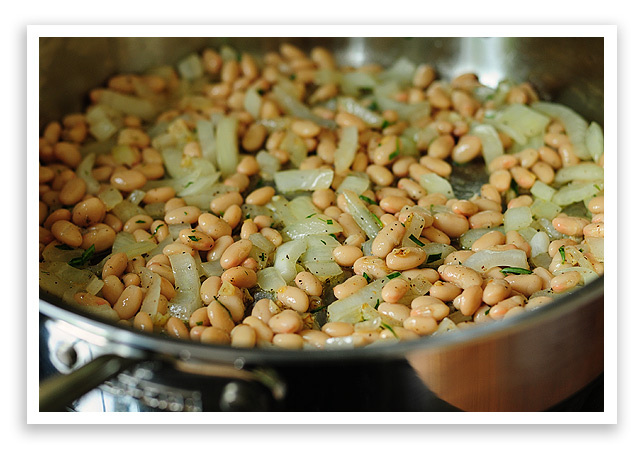 When sautéing the beans, use a gentle hand so as not to mash the beans up to mush. When the pan begins to “dry up” (again, I’m not a professional chef, so I don’t know what the proper terminology is), add the white wine. Continue to sauté for another four minute or five minutes, or six minutes… or however long it takes for the wine to reduce down and the beans to be cooked to your liking. Taste a bean. If you like it, then it’s done. That looks delicious! So simple, too. I looove me some beans. I make a dish similar to this, only a bag of fresh spinach goes in at the end. Crazy-tasty! Beans and onions…I’m in! Sounds like the perfect summer side! Close to my own favorite go-to dish, usually when I am home alone. Saute onion and then add a can of light red kidney beans, undrained. Let it simmer down a bit to reduce the liquid and then serve it over bulgur wheat. Yum. Comfort food at its best around here. That sounds delicious! I never thought of cooking beans that way! I really had no idea you could buy beans in a can. I’m definitely going to try this. Thanks. 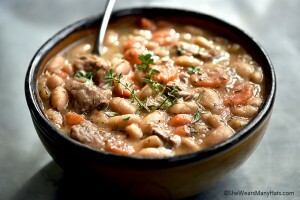 What a great, easy way to jazz up an ordinary can of beans…have to try it! You are the Queen of Beans! 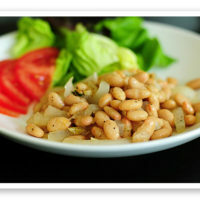 Love this tasty take on an ordinary white bean… yum! I love beans so much that I would make this the main course. Paired of course with a generous serving of wild and brown rice! Yum! looks delicious! Your sister just let me know about your blog! Okay, I do not love beans, but these look delicious. I will have to give them a try, my mother will be proud! Just came across your website. I love it. I have never liked cooking. I’m an outdoors woman and had zero interest in cooking. My poor child grew up on meatloaf , Mac and cheese, green beans, and potato soup. I still don’t care much for it, which is why I stay under weight. I’m basically lazy. Thank you for a website I can relate to. What a perfect pair for Salmon! Isn’t it just the easiest side dish too? Sometimes I make it just to eat alone with a salad, and have even mixed it with pasta for a major carb out! 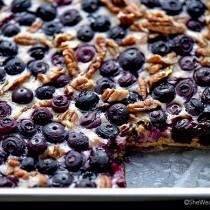 How would you alter this recipe if you were using dry beans, other than the overnight soak? What is the sodium count for this recipe?